I am from Trashigang, Bhutan. I studied life sciences for my undergraduate degree (2006-08) from Sherubtse College affiliated to Delhi University, India, and then went on to be trained with Indian Forest Service in 2009-11 in Dehradun, India, in the field of forestry and wildlife science. 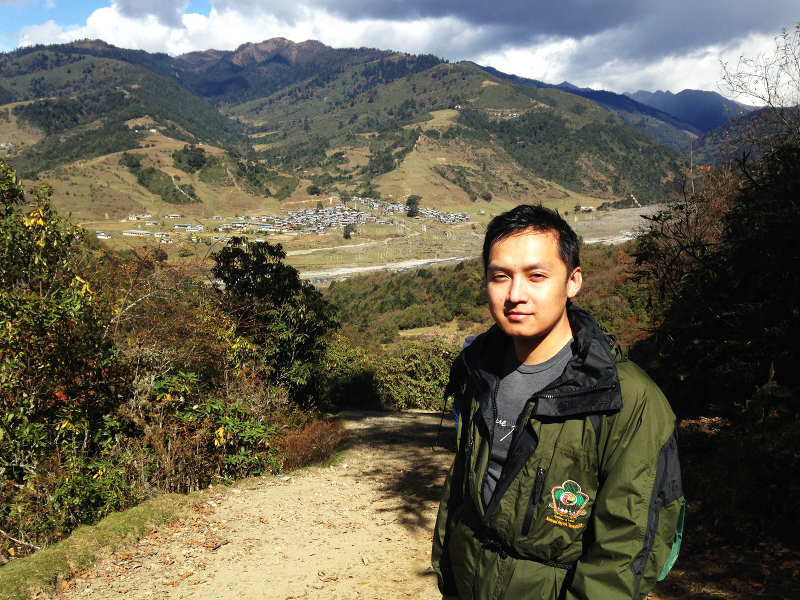 I started working with the Forest Department in Bhutan from 2012 as a forest management planner. I have been a member of the lead coordinating team of the first comprehensive national forest inventory of Bhutan from 2014-15. My research interest includes the study of behaviour and ecology of cryptic and lesser known felids and in particular the clouded leopard. I am also interested in understanding the economic and conservation priority overlap between forest and wildlife management. I anticipate this diploma will provide me with research, analytical and scientific writing skills, much-needed traits in any conservationist.